HipHopDX – This week in Hip Hop, Childish Gambino released a music video for “This Is America,” creatively encapsulating what living in America is like in 2018. Spotify also launched a “hateful conduct” policy and had R.Kelly and XXXTENTACION’s music removed from their playlists. Lastly, Houston lost “Million Dollar Hook Man” Big T, known for his contributions on Lil Troy’s 1999 hit “Wanna Be A Baller,” after he suffered a heart attack. 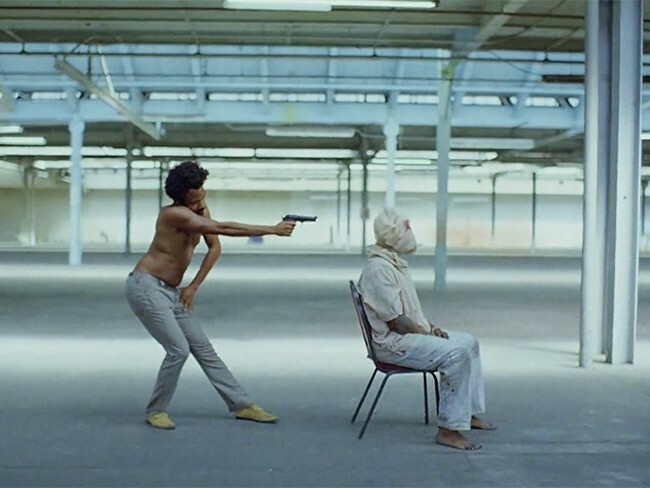 Childish Gambino upped the ante with his artistry with the release of his politically charged music video for “This Is America.” The visual creatively depicts what life is like in America 2018: accessible technology coupled with the instantaneous satisfaction from social media likes to distract from social issues such as racism and gun violence. “This Is America” makes use of common ad-libs from today’s most popular rap stars such as Young Thug, 21 Savage, Slim Jxmmi, BlocBoy JB and Quavo. It also features TDE princess SZA in the video. Since its release, the video has accumulated over 100 million YouTube views. The video has obvious symbolism throughout and addresses the state of the United States politically and socially. Read DX’s deconstruction of Childish Gambino’s “This Is America” here.